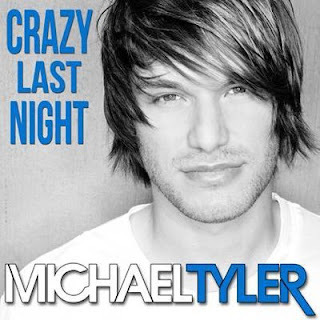 Lovin' Lyrics Music Promotions: #NEWARTIST MICHAEL TYLER RELEASES DEBUT VIDEO - "CRAZY LAST NIGHT"
#NEWARTIST MICHAEL TYLER RELEASES DEBUT VIDEO - "CRAZY LAST NIGHT"
Michael Tyler is a self-taught singer/songwriter from Thayer, MO. He got his start in the music industry at the young age of 13 when he signed a songwriting deal with peermusic after meeting with award-winning producer Michael Knox (Jason Aldean/Thomas Rhett/Kelly Clarkson/Trace Adkins.) He has penned multiple hit songs with songwriting credits on Jason Aldean's, "Laid Back." LOCASH's "Shipwrecked" and "Ain't Startin' Tonight," and the #1 Billboard Hit and Certified Gold single, "Somewhere on a Beach" by Dierks Bentley. In addition to his songwriting deal with peermusic, he is also signed with Reviver Records as a musician and is currently touring across the nation attracting new fans with his energetic live show. His new single, "Crazy Last Night" was recently selected as one of Billboard Country's Songs of the Summer Picks. You won't want to miss out on this great new video from this exciting new artist!